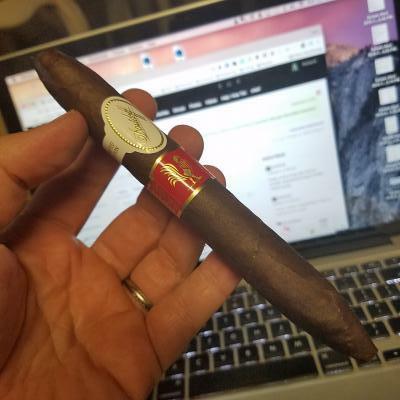 Looks like a cigar on the pre-light. Imagine that! 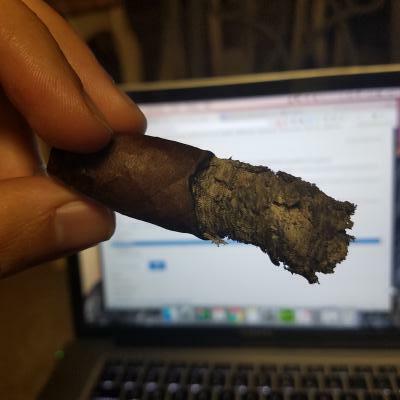 Normal cigar veins. No noticeable hard areas (giggity). Light pre-light spices left some heat on my lips. Draw seems good. 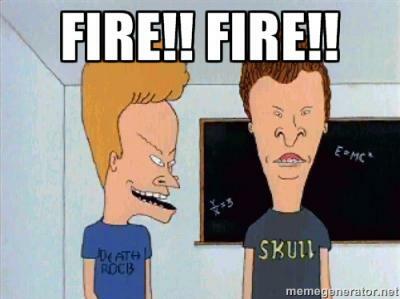 Let's light it on fire! Ash is a it flaky at first. 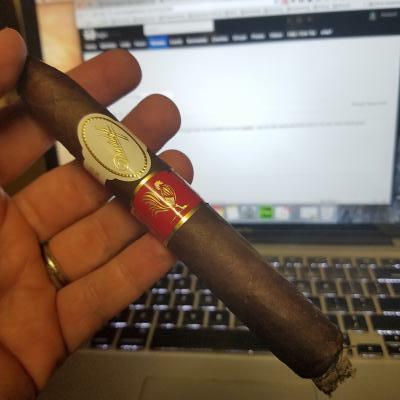 There is a good blast of spice with undertones of the signature Davidoff earthiness. Retrohales like a MFer. It made my eyes water. Kinda like that first line of cocaine in the morning. Oh, wait... this is the Internet... scratch that. After a bit it settles down. Some good sweet cedar and earth mingle around with the variety of spices. Yes, the spices are still the predominant flavor. It seems like it wants to go out on me a few times but luckily there is much power in these lips. The cedar, spices, and earth bounce back and worth. After the first half, the spices die down and the cigar really smooths out. After it smooths out the Year of the Rooster just turns magical. I will say that it's turned out complex to the point where picking out specific flavors is super difficult. So, I'm not even going to try. 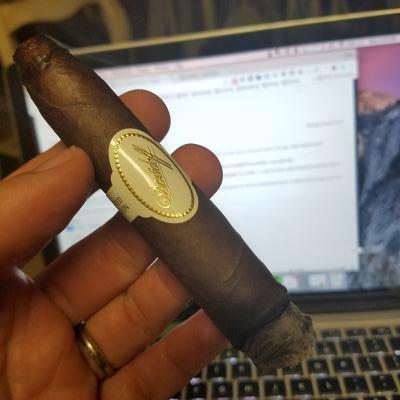 I'm just gonna sit back and enjoy this cigar at this point. There is an anise flavor that pops in now and again that is interesting though.